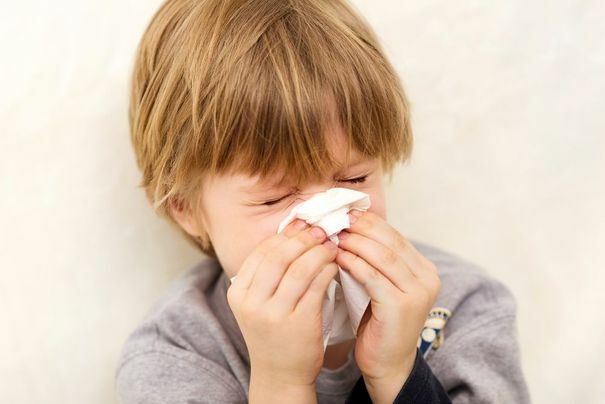 If your child is suffering from a cold that won't go away, or that has lasted unusually long, they may have sinusitis. The doctors at Chesapeake Ear, Nose & Throat can identify and treat sinus inflammation to relieve their symptoms. They will begin with a thorough diagnostic test, using advanced imaging. They will then recommend appropriate care, starting with the most conservative option. Sinus infections can be difficult to diagnose in children since they can mimic other, more common conditions. Our doctors have the experience and expertise to provide accurate diagnoses and effective treatment for children’s sinusitis in the Baltimore, MD-area. There are two types of sinusitis: acute and chronic. Acute sinusitis typically lasts less than four weeks, though symptoms can be unpleasant during this time. Chronic sinusitis causes repeated infection, and symptoms typically last eight weeks or more. Children are more prone to acute sinusitis. It is often challenging to diagnose children’s sinus infections since the condition is less common in kids than in adults. The sinuses do not finish developing until adolescence, so children’s sinusitis is more likely to affect older kids and teens. In addition, the symptoms of pediatric sinus infections differ somewhat from the symptoms of sinusitis in adults. They can also mimic symptoms of the common cold and allergies. At Chesapeake Ear, Nose & Throat, we always begin with the most conservative care. Antibiotics are typically the first treatment option. We may combine these medications with a decongestant and mild pain medication. Using a humidifier at night can also help to alleviate your child’s symptoms. In rare cases, we may recommend surgery. Adenoid removal is one of the most common surgical options. In other instances, our doctors may perform minimally invasive endoscopic surgery. Using a small lighted camera, we can widen your child’s sinus passages and improve mucus drainage. If you are concerned about your child's cold that won't go away, and worry that it might be a sinus infection, the doctors at Chesapeake Ear, Nose & Throat can identify and treat this condition. Schedule an appointment today to learn more about how we can help treat your child’s sinusitis.